Garage door openers are available in different styles, sizes and possess different features. One important thing that all of them have in common tends to be that all of them have a certain lifetime. Many times it’s possible to replace some parts of the openers; however, other times it is not. Based on the age and type, sometimes the best alternative is replacing them. ​We offer openers by many manufacturers and brands, which are thought to be one among the best on the market. 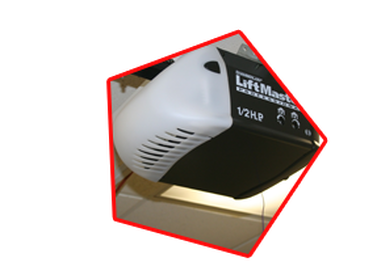 If you wish to replace a garage door opener Eastvale, then give a call to us right away! The chain drive openers tend to be the most common ones; these openers combine affordability and performance. While chain drive openers are considered as noisy, if the garage is separate from your home, this is an excellent option. The belt drive openers tend to be super quiet and they deliver remarkable performance. These openers are excellent if the garage is located below a bedroom. Although a little more costly than chain drive opener, belt drive opener is considered to be best. Features include MyQ Technology and Battery Backup. The direct drive openers mostly are used for low ceiling, when a traditional opener won’t fit. Such openers are situated on the sides and are connected to torsion bar directly. These openers need sufficient space on sides of the garage, else they can’t be installed. We can offer you with any kind of garage door opener installation and repair. Our garage door technicians will be pleased to offer you with information about our garage door openers services. 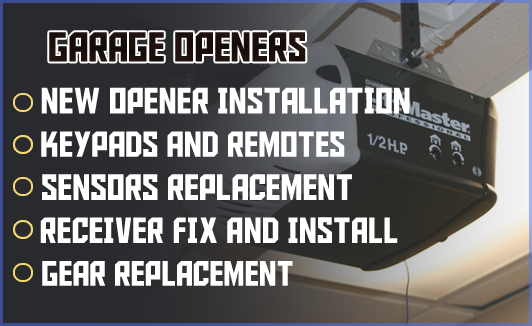 Other than new opener installation, we also do repair and maintenance for most of the garage door opener’s models. Contact us immediately if you run in any problem with your opener. © Copyright 2016. Garage Door Repair Eastvale CA. All Rights Reserved.